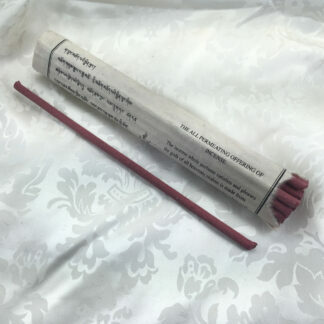 This special incense powder is finely-ground pure Juniper from the the Himalayas of Bhutan. Highly-prized for its refreshing aroma, this is the finest-quality juniper powder available. It is made using the entire tree – berries, leaves, bark and wood. Special permits from the Bhutanese Government are required, since most of the forests in the country are protected. 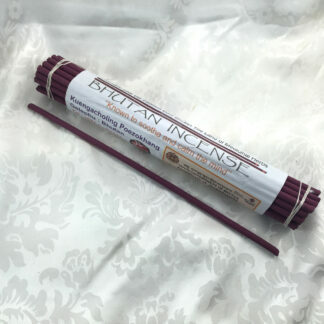 A light and woody scent arises from the glowing coal….this powder, which is incredibly fine, emits a scent that reminded me of a vintage sandalwood, with a vanillic, creamy swetness and a woody-herbal note; both united in perfection. 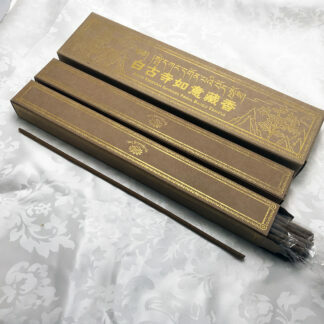 The afterscent is that of a very refined Tibetan or Bhutanese incense. Since the powder is so finely ground you can see how the heat spreads through the powder on the coal. 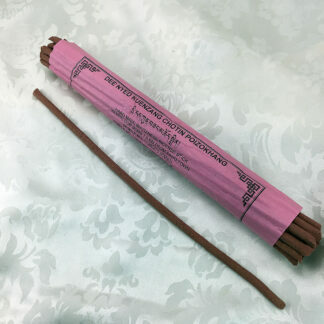 It looks like s slo-mo of sparklers… It is a wonderful incense. The bag contains A LOT of powdered Juniper – it will probably last a lifetime! I will get myself some makko, and make incense sticks or cones from it. I am giving this 2 stars because it is not powder made only from Juniper leaves, and it is the leaves that have the characteristic Juniper fragrance. Powder from leaves is greenish and smells like, well, Juniper, both in the bag and when burned. This is a brownish powder, described on the site as being from the whole tree, and from visual and aroma examination it appears the wood ingredient predominates. What is not clear from the site is that the fragrance is woody. It does not smell like Juniper leaves, and if you want that smell, try a different sang. However, the woody smell has its own charm and i throw some of it on the Juniper leaves and in other sang when i burn them.